My HTC Desire had just turned 2 years old. It was still going strong, with Sandvold‘s Android 4.0.4 Ice Cream Sandwich based on CyanogenMod 9. Although I had in my possession a Samsung Galaxy Nexus for a while (in my line of work as an Android app developer) I never quite felt the need to upgrade, as the 1 Ghz Snapdragon was still very competent. That, and tiny internal storage space meant gymnastics with partitions especially with apps that would not move to SD card. Plus the few ROMs I tried didn’t quite like my partitions. But anyway! 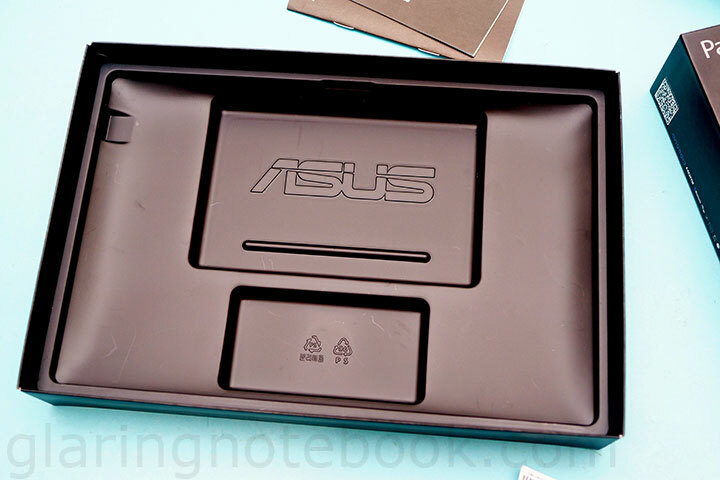 At the Computex 2011, one amazing product was showcased – the Asus Padfone! 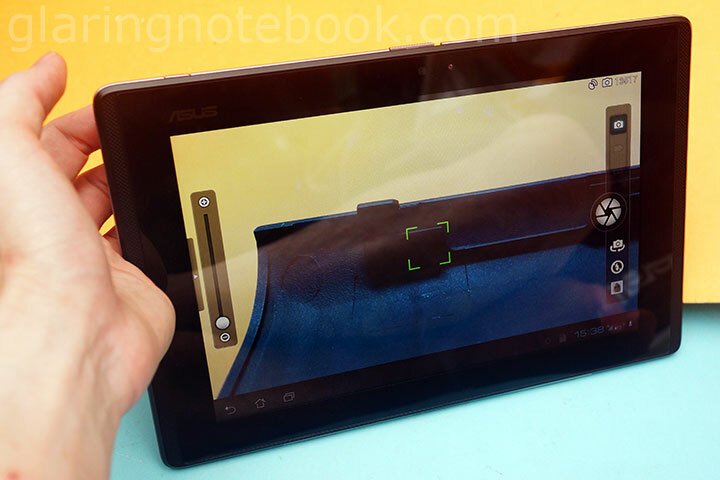 The Internet was abuzz with this, and many were hoping that it would be able to connect to a keyboard dock, like how the Asus Eee Pad Transformer does. Pleasantly, they added the keyboard, and added one more amazing surprise – a capacitive stylus that doubles as a Bluetooth headset! I cannot tell you how cool that is. When there was wind of it coming to Malaysia, I pre-ordered it. Unfortunately, I only have what was announced in 2011 – the Padfone and Padfone Station. Wait, what is a Padfone Station? 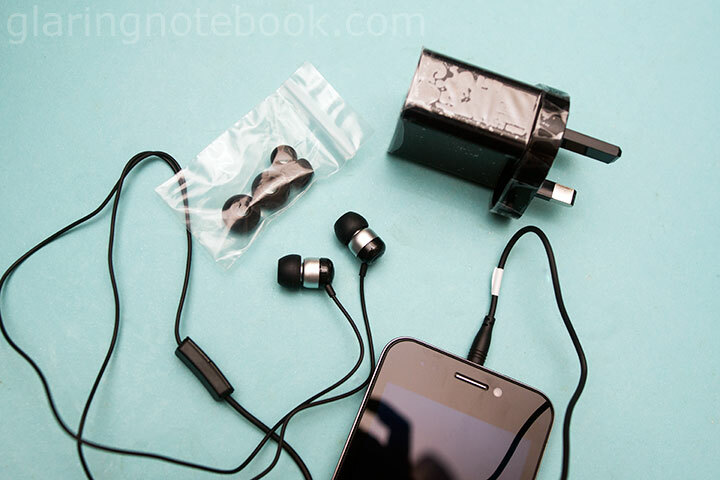 The Padfone box has earphones, a wall plug, a Micro USB cable and of course the phone. The Padfone Station box has a pleasant surprise – when you open it, the first thing you see is a sleeve! It is not a separate item. 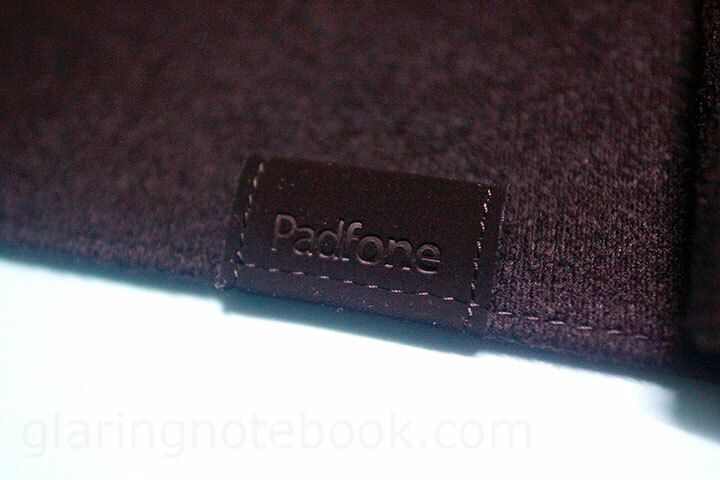 As you remove the sleeve and Padfone Station, you can see a pretty box. 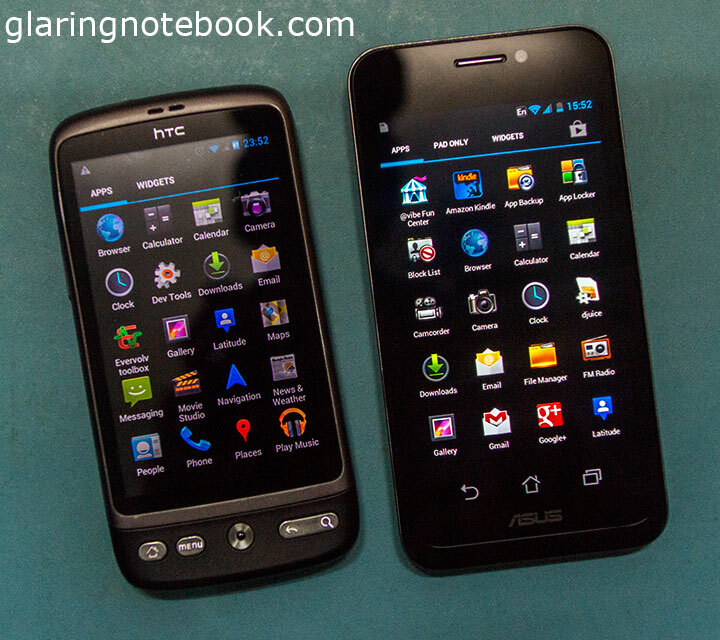 On the left is my HTC Desire, the original 3.7″ 800×480 AMOLED version. The Padfone is codenamed A66, fitting since the original Asus Garmin phones were called the A10 and A50. 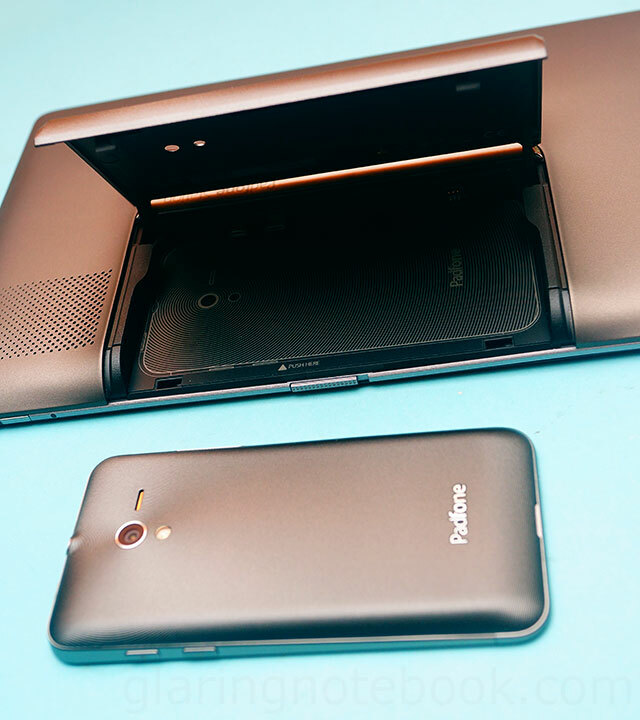 Thickness and size from the back – the Padfone being on the right, the HTC Desire on the left. 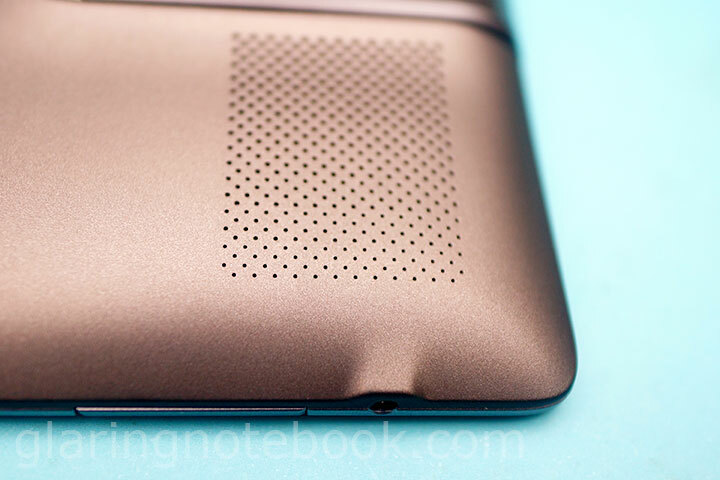 The key selling point is that the Padfone fits into the back of the Padfone Station, and becomes a tablet. 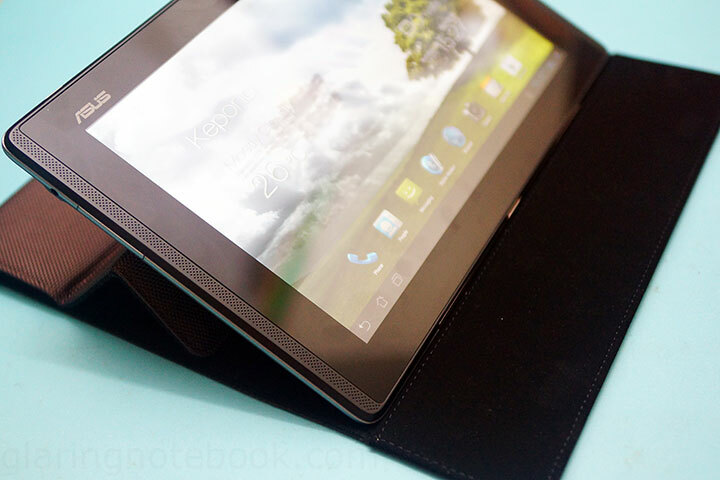 However, the tablet cannot operate without the phone inside – it is just a dumb screen. By putting the phone in the tablet, all your phone’s apps and data are there in the tablet! Some people would prefer to have a separate tablet so that two people could use it at the same time. This is not for them! Some people want to use a phone and a tablet, all to themselves. This lets you play Angry Birds on your phone while sitting in the toilet, and continue at home on your tablet. Since I had access to tablets, there are some games I would play on the tablet, but not on the phone, or vice versa, simply because my game progress would be on the other device. Now with the Padfone, I would not have such a problem at all! The latch then locks the phone in place. 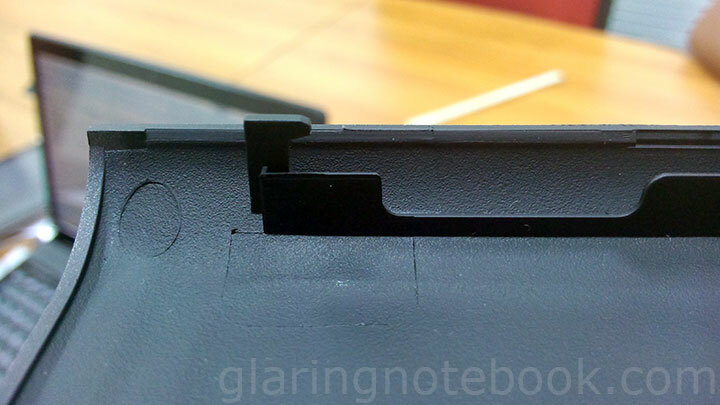 When you open the latch, you can pull down on the door to nudge the phone out slightly. The slot from the top. From the left is a Micro HDMI Type D port, a Micro USB port, a little button (pressing it will trigger a short vibration because it thinks the Padfone is inserted), and 3 pins (I think they are for a display dock, but I don’t understand why.) Also note the 2 holes for the camera and LED flash! 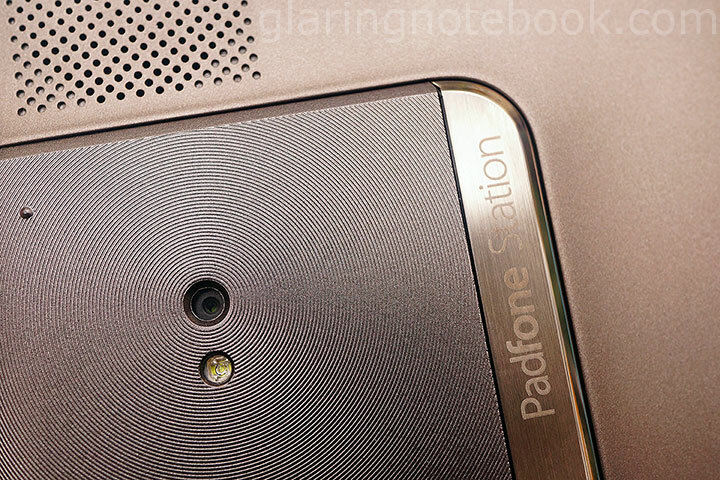 From the back, you can tell if the Padfone is inside – you can see the camera and LED flash! The LED flash is blindingly bright – much brighter than my HTC Desire’s. Another very cool thing is that the LED flash can be used in the tablet, making it one of the very few tablets with a LED flash! There is a power button on the left. The bottom. 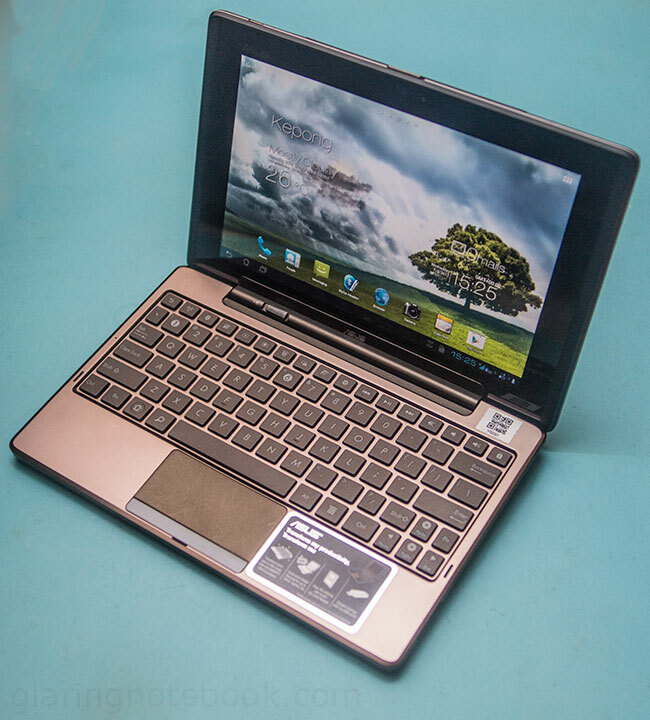 This is compatible with the Asus Eee Pad Transformer TF101 keyboard dock. The volume buttons and the earphone/handsfree jack. Also note the large speaker – the Padfone Station can play music clearly, at an uncomfortably loud volume! (Apparently, the Asus engineers spent a lot of time on this.) You’d want to dial it down. And finally, from the back. 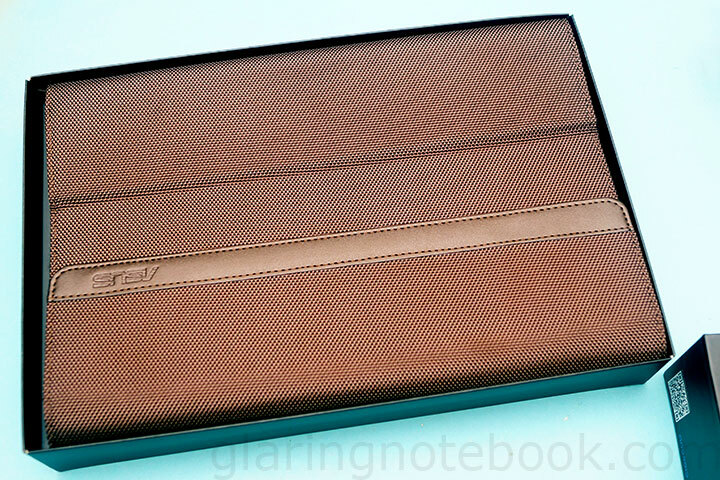 The texture is a very luxurious, smooth metal with a bit of rubber, with a contour that is nice to hold. 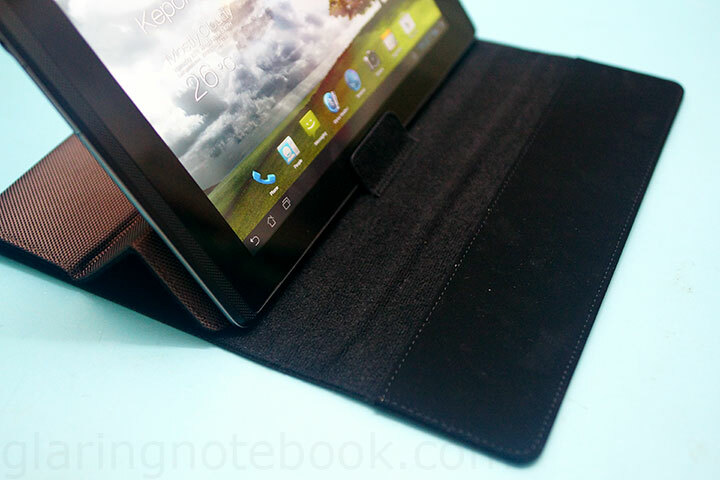 …and you can move the tablet so it goes into an angle that is suitable for typing. 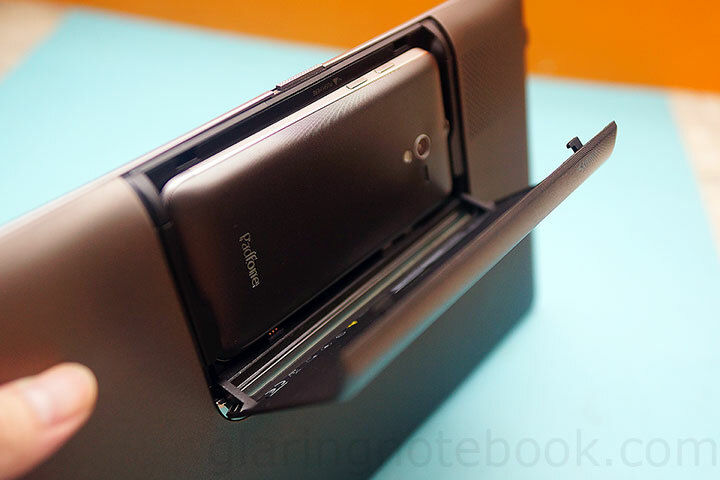 Of course, with the keyboard dock, you can adjust it at any angle. So here it is, with my office’s Asus Eee Pad Transformer TF101 keyboard dock. It doesn’t lock all the way in, though, as you can see from the latch, and if you tilt it too far back, the whole thing will fall backwards! That is why I have also pre-ordered the Padfone Station Dock – it is very similiar to this dock, except that you cannot tilt it so far back. Plus, it would probably match better, too! The sleeve also has a holder for the stylus headset. Oh, I can’t wait! 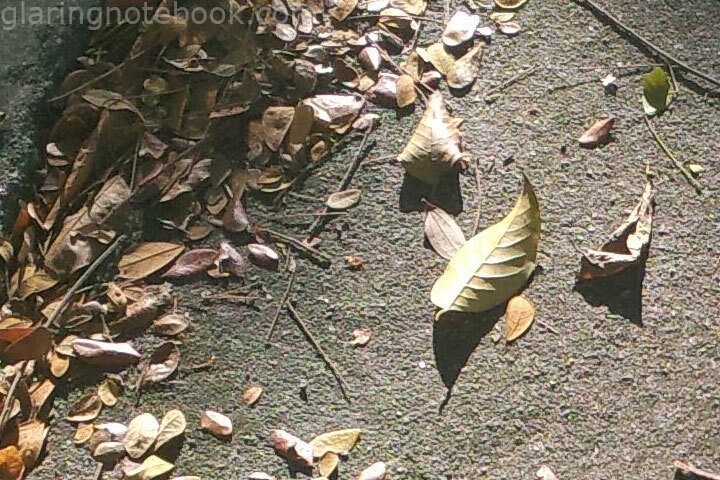 You can also operate the camera with the latch open – this is what you’d see. The 8 megapixel camera is pretty good, with a F2.2 lens and autofocus. Dynamic range test. Not bad! No EV compensation was used. 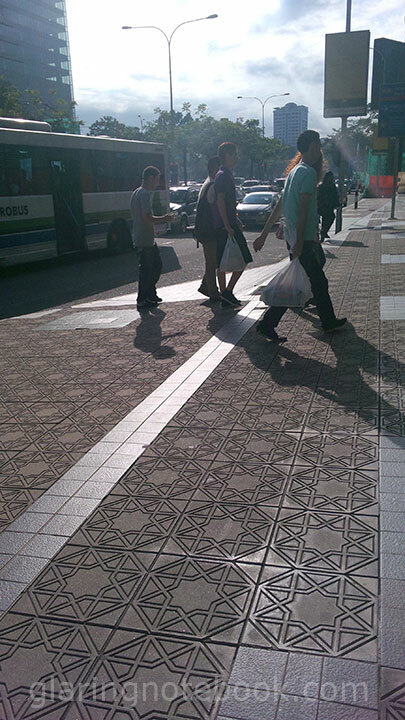 100% crop from a 6 megapixel 16:9 picture. This is what it looks like when the latch is open. Gotta love how close it can focus! Another close shot, this time at 4mm F2.2 1/15s ISO800. I set the ISO to 800, the highest it would go. The angle of view looks quite like a 28mm on full-frame. I then installed Titanium Backup, and transplanted the MicroSD card from my HTC Desire and restored my apps and app data. So I have all my 3-star scores, unlocked eggs and 100% dragons in all 4 Angry Birds games! I have not installed any custom ROMs – Asus makes pretty decent bare-bones firmware with very few tweaks to the system. Plus they were the first (as I remember) to put out Ice Cream Sandwich on a device that was not a Google Developer Device (HTC Nexus One, Samsung Nexus S, Motorola Xoom, Samsung Galaxy Nexus, Asus Nexus 7, Google Nexus Q). 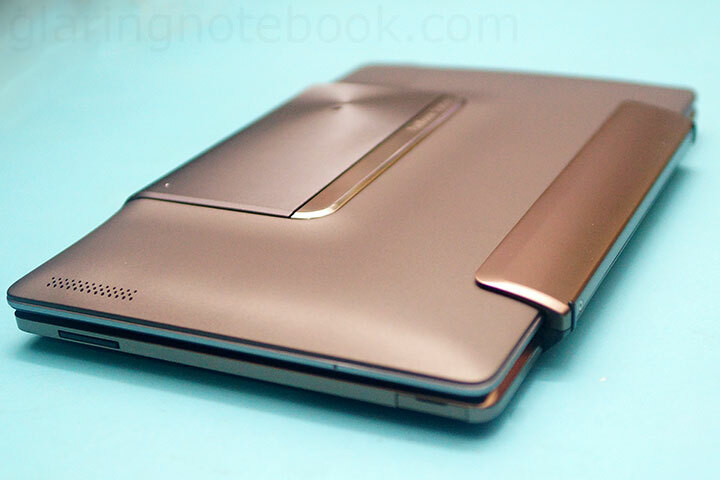 The exact debut was on the Asus Eee Pad Transformer Prime, then the original Transformer TF101. It would occasionally randomly restart, but they put out a few firmware updates that gradually fixed the problem. They could do so, since they had very few Android products in the market – compare this to Samsung, who floods the market in every price range with Androids, and as a result, their firmware engineers haven’t got time to work on updating their devices to Ice Cream Sandwich. They were eventually one of the last to update their older devices. And let’s not even get started on Jelly Bean – but knowing Asus’ track record, I can expect to see it soon. Alternatively they could make the output 1280×720 as other tablets do, but the Padfone screen cannot support that. 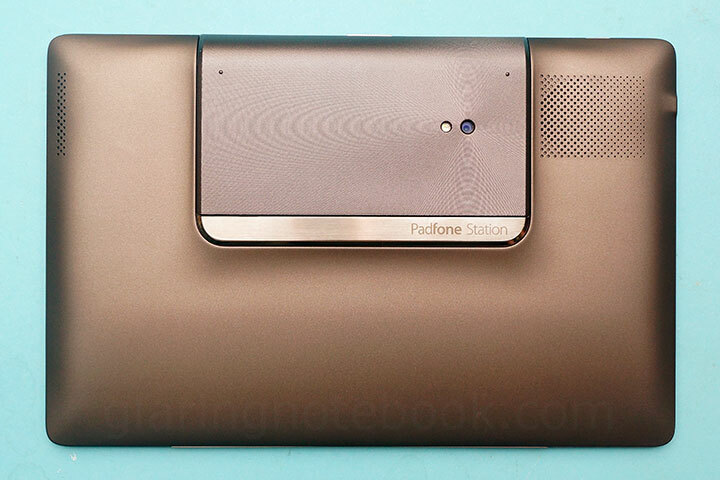 The Padfone Station is a 1280×800 screen, but it has no HDMI output! I also tried it with the Transformer TF101 keyboard dock, and it would not allow the data connection, either! 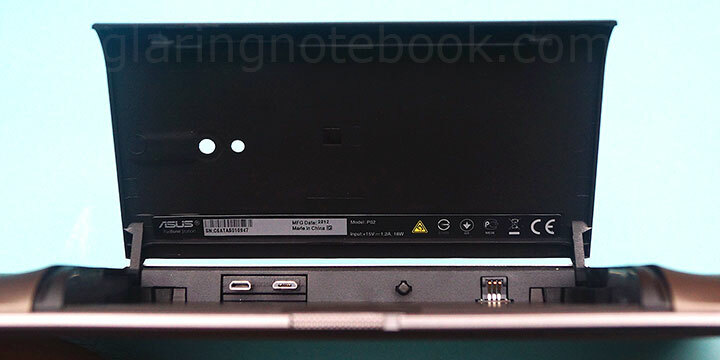 All apps will be closed when you go from phone to tablet or vice versa, and they don’t get retained in the Task Switcher, unless it is added to the exclusion list under Settings – Asus customized setting – Dynamic display switch list. Asus’ own apps are probably added in a hidden list, since those stay when you switch from phone to tablet or vice versa. 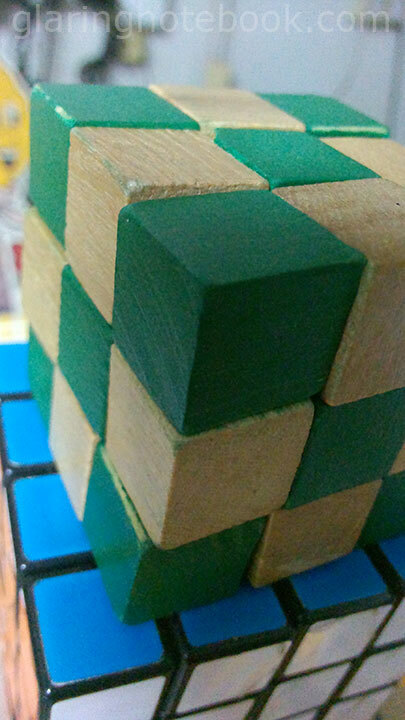 This entry was posted in Geek, Pictures on July 6, 2012 by 2konbla. Nice review! I also have a Desire that desperately needs upgrading, and I’ll be replacing it with this as I want a tablet and a new netbook, too. – As an Android dev, have you looked at the AIDE app that lets you edit and compile code right on your Android device? The Padfone should be perfect for this. Thanks Rob for the comment! – I can’t find anything on the three pins. – We’ll see. 😀 However I’m not a ROM developer. – I didn’t know it existed. Looks sweet, and it DOES compile! Will have to spend a few hours exploring it. Aizat: Not sure how it is rough but thanks!